"This vacation is going to be so amazing!" Oh, if only they knew… Vertical Entertainment has unveiled an official trailer for a horror thriller titled Ghost House, from filmmaker Rich Ragsdale. 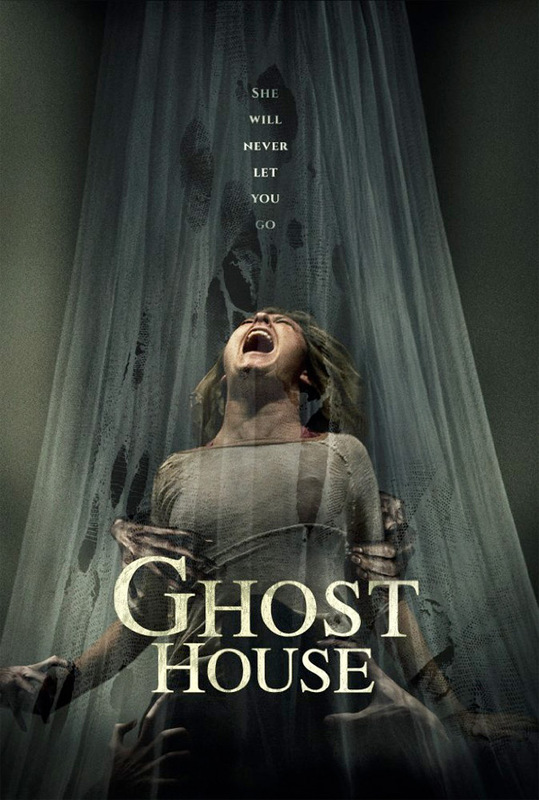 We haven't heard much about this, but it looks like your standard haunted house plus one super angry ghost movie, with the increasingly common horror trope of idiot white tourists in a foreign country making a fool of themselves and provoking evil spirits. Ghost House stars Scout Taylor-Compton, James Landry Hébert, Mark Boone Junior, Michael S. New, Elana Krausz, and Kevin Ragsdale. This definitely does look scary, although quite predictable, but maybe there's some solid thrills in it. Worth a watch if you're a horror fan. A couple goes on an adventurous vacation to Thailand only to find themselves haunted by a malevolent spirit after naively disrespecting a Ghost House. Ghost House is directed by American composer/filmmaker Rich Ragsdale, of the film The Curse of El Charro previously, as well as extensive work as a composer, editor, and the director of numerous music videos previously. The screenplay is written by Kevin O'Sullivan and Jason Chase Tyrrell; based on a story by Rich Ragsdale and Kevin Ragsdale. The film hasn't premiered at any film festivals yet. Vertical Entertainment will release Ragsdale's Ghost House in select theaters + on VOD starting August 25th, meaning it's available now, if anyone is interested. Your thoughts on this film?